Bu çalışmada, Uluslararası Finansal Raporlama Standartları’na (UFRS) zorunlu uyumun, muhasebe bilgilerinin değer ilişkisinde neden olduğu değişim ve bu değişimde ulusal yapısal faktörlerin oynadığı rolü tespit etmek amaçlanmıştır. Bu amaçla yapılan literatür taraması ile muhasebe bilgilerinin değer ilişkisi, ulusal yapısal faktörler ve/veya UFRS arasındaki ilişkiyi konu eden ve örneklemi birden fazla ülkeden oluşan akademik çalışmalar ile UFRS’nin muhasebe bilgilerinin değer ilişkisine olan etkisini araştıran Türkiye örneklemli akademik çalışmalar incelenmiştir. Bu kapsamda incelenen akademik çalışmalarda, UFRS’nin muhasebe bilgilerinin değer ilişkisinde neden olduğu değişim konusunda birbirinden farklı bulgular söz konusu olsa da UFRS’ye uyuma rağmen finansal piyasa gelişimi, sermaye ve mülkiyet yapısı, vergi sistemi, kültürel faktörler gibi ülkeye özgü finansal raporlama güdüleyicilerinin, finansal raporlama uygulamalarını etkilemeye devam ettiği yönünde ortak bulgular olduğu görülmüştür. Bu durum; muhasebe kalitesi yüksek finansal raporlar için, finansal raporlama standartlarının kaliteli olmasının yeterli olmadığını, ülkelere özgü ulusal yapısal faktörlerin de bu süreçte önemli bir role sahip olduğuna işaret etmektedir. In this study, it is aimed to determine the change in the value relevance of accounting information due to mandatory adoption of International Financial Reporting Standards (IFRS) and the role of national institutional factors in this change. Towards this end, the academic studies whose sample is composed of more than one country and investigating the relationship between value relevance of accounting information, national institutional factors and/or IFRS and the academic studies investigating the effect of IFRS on the value relevance of accounting information in Turkey are examined through a literature review. In accordance with the findings of all these studies, it is seen that although there is no consensus in the academic studies about the change in the value relevance of accounting information due to IFRS, the country-specific factors such as capital market development, capital and ownership structure, tax systems, cultural factors have a continued influence on the value relevance. This indicates that, high-quality financial reporting standards are not enough for high-quality financial reports, but national institutional factors also play an important role in this process. Agostino, M., Drago, D. ve Silipo, D. B. (2011). The value relevance of IFRS in the European banking industry. Review of Quantitative finance and Accounting, 36(3), 437-457. Ahmed, A. S., Neel, M. ve Wang, D. (2013). Does mandatory adoption of IFRS improve accounting quality? Preliminary evidence. Contemporary Accounting Research, 30(4), 1344-1372. Aksu, M., Cetin, A. T. ve Mugan, C. S. (2017). Value Relevance of Ac-counting Data in an Emerging Market: Did Accounting Reforms Make a Difference? S. Gökten (Ed. 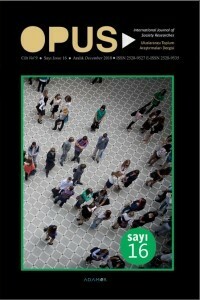 ), Accounting and Corporate Reporting-Today and Tomorrow içinde (141-164). Crotia: InTech. Alashi, M. ve Dumlu, T. (2015). Relevancy of accounting information under IFRS at Borsa Istanbul (BIST) for manufacturing firms. Journal of Economics Finance and Accounting, 2(2), 152-163. Ali, A. ve Hwang, L. S. (2000). Country-specific factors related to fi-nancial reporting and the value relevance of accounting data. Journal of Accounting Research, 38(1), 1-21. Amir, E., Harris, T. S. ve Venuti, E. K. (1993). A comparison of the value- relevance of U. S. versus Non-U. S. GAAP accounting measures using Form 20-F reconciliations. Journal of Accounting Rese-arch, 31, 230–264. Anandarajan, A., Francis, B., Hasan, I. ve John, K. (2011). Value relevance of banks: global evidence. Review of Quantitative Finance and Accounting, 36(1), 33-55. Arce, M. ve Mora, A. (2002). Empirical evidence of the effect of European accounting differences on the stock market valuation of earnings and book value. European Accounting Review, 11(3), 573-599. Ball, R. ve Brown, P. (1968). An empirical evaluation of accounting ıncome numbers. Journal of Accounting Research, 6(2), 159–178. Ball, R., Robin, A. ve Wu, J. (2003). Incentives versus standards: Properties of accounting income in four East Asian Countries, Journal of Accounting and Economics, 36(1), 235–270. Barth, M. E., Beaver, W. H. ve Landsman, W. R. (2001). The relevance of the value relevance literature for financial accounting standard setting: another view. Journal of Accounting and Economics, 31(1), 77-104. Barth, M.E., Landsman, W.R. ve Lang, M.H. (2008). International accounting standards and accounting quality. Journal of Accounting Research, 46(3), 467–498. Bartov, E., Goldberg, S. R. ve Kim, M. (2005). Comparative value relevance among German, US, and international accounting standards: A German stock market perspective. Journal of Accounting, Auditing & Finance, 20(2), 95-119. Callao, S. ve Jarne, J. I. (2010). Have IFRS affected earnings management in the European Union?. Accounting in Europe, 7(2), 159-189. Campa, D. ve Donnelly, R. (2016). Mandatory IFRS adoption and earnings quality in different institutional settings: a comparison between Italy and the UK. International Journal of Accounting, Auditing and Performance Evaluation, 12(1), 24-44. Deegan, C. (2014). Financial accounting theory. Australia: McGraw-Hill Education. Demir, V., Ertuğrul, M. ve Gür, E. (2016). Değer ilişkisi üzerine uluslararasi yayınlar. Mali Çözüm Dergisi/Financial Analysis, 26(136), 13-31. Devalle, A., Onali, E. ve Magarini, R. (2010). Assessing the value relevance of accounting data after the introduction of IFRS in Europe. Journal of International Financial Management & Accounting, 21(2), 85-119. Easton, P. D. ve Harris, T. S. (1991). Earnings as an explanatory variable for returns. Journal of Accounting Research, 29(1), 19–36. Filip, A. ve Raffournier, B. (2013). The value relevance of earnings in Europe after IFRS implementation: why do national differences persist?. International Journal of Accounting, Auditing and Performance Evaluation, 9(4), 388-415. Francis, J. ve Schipper, K. (1999). Have financial statements lost their relevance?. Journal of Accounting Research, 37(2), 319–352. Gray, S. J., Kang, T., Lin, Z. ve Tang, Q. (2015). Earnings management in europe post IFRS: Do cultural influences persist?. Management International Review, 55(6), 827-856. Harris, T. S., Lang, M. ve Mőller, H. P. (1994). The value relevance of German accounting measures: An empirical analysis. Journal of Accounting Research, 32(2), 187-209. Hasan, I. ve Anandarajan, A. (2003). Transparency and value relevance: the experience of some MENA countries. Preliminary Version. Hillier, D., Hodgson, A. ve Ngole, S. (2016). IFRS and secrecy: Assessing accounting value relevance across Africa. Journal of International Financial Management & Accounting, 27(3), 237-268. Holthausen, R. W. (2009). Accounting standards, financial reporting outcomes, and enforcement. Journal of Accounting Research, 47(2), 447-458. Holthausen, R. W. ve Watts, R. L. (2001). The relevance of the value-relevance literature for financial accounting standard setting. Journal of Accounting and Economics, 31(1-3), 3-75. Jeanjean, T. ve Stolowy, H. (2008). Do accounting standards matter? An exploratory analysis of earnings management before and after IFRS adoption. Journal of Accounting and Public Policy, 27(6), 480-494. Joos, P. ve Lang, M. (1994). The effects of accounting diversity: Evidence from the European Union. Journal of Accounting Research, 32, 141–168. Kang, W. (2013). The impact of mandatory IFRS adoption on the earnings–returns relation. Applied Financial Economics, 23(13), 1137-1143. Karabayır, M. E. (2012). Uluslararası finansal raporlama standartları ve muhasebe kalitesı̇: İMKB örneği. (Yayımlanmamış doktora tezi). Ankara Üniversitesi Sosyal Bilimler Enstitüsü, Ankara. Kothari, S. P. (2001). Capital markets research in accounting. Journal of Accounting and Economics, 31(1-3), 105-231. Lourenço, I. ve Dias Curto, J. (2008). The level of shareholder protection and the value relevance of accounting numbers: evidence from the European Union before and after IFRS. Working paper. http://ssrn.com/abstract=1276024. (Erişim Tarihi 25.10.2017). Manganaris, P., Spathis, C. ve Dasilas, A. (2015). The effects of mandatory IFRS adoption and conditional conservatism on European bank values. Journal of International Accounting, Auditing and Taxation, 24, 72-81. Martínez, J. A., Martínez, D. A. ve Lin, H. (2014). The value relevance of accounting numbers under international financial reporting standards. Australian Accounting Review, 24(3), 237-254. Morais, A. I. ve Curto, J. D. (2009). Mandatory Adoption of IASB Standards: Value Relevance and Country‐Specific Factors. Australian Accounting Review, 19(2), 128-143. Narktabtee, K. ve Patpanichchot, S. (2011). The impact of country-level vs firm-level factors on the effectiveness of IFRS adoption: The case of European Union. The International Business & Economics Research Journal, 10(10), 79-92. Ohlson, J. A. (1995). Earnings, book values and dividends in equity valuation. Contemporary Accounting Research 11(2), 661–687. Scott, W. R. (2015). Financial accounting theory. Toronto: Pearson Education. Suadiye, G. (2012). Value relevance of book value & earnings under the local GAAP and IFRS: Evidence from Turkey. Ege Akademik Bakış, 12(3), 301-310. Türel, A. (2009). The value relevance of IFRS: The case of Turkey. Acta Universitatis Danubius. Economica, 5(1), 119-128. Vann, C.E. (2012). An Investıgatıon of The Value Relevance of Accounting Information, IFRS, Institutional Factors, Culture, and Corporate Governance: International Evidence (Yayımlanmamış doktora tezi). US: The University of Memphis.